Let me take this chance to welcome you, prospective new customers and our existing valued customers to our updated eCommerce website. Our old website has served us very well for over 12 years, however the time has come for a change! We have spent many months preparing and executing the transition to a complete new eCommerce platform, this will enable us to serve you better than ever before, we have many new features, including allowing live progress status updates from your units arrival with us and subsequent repair undertaken by our technicians, we have also implemented a new fast track express repair service, this means you can have your phone or tablet repaired within 24 hours or less. 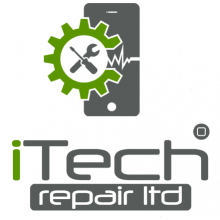 Overall our aim is to deliver the best possible phone and tablet repair experience to you. We hope you will help us during this initial launch by providing feedback if you notice any issues at all, please do not hesitate to contact us either by using our Contact Us page, or telephone on 0845 474 4728. As always we aim to provide you with the best repair experience possible all our customers are important to us, if you have any suggestions or ideas on how we can improve please feel free to email me personally on ndickman@ipaqrepair.co.uk.